I have a new Tesla Model X 100D that was purchased on September 29, 2018. 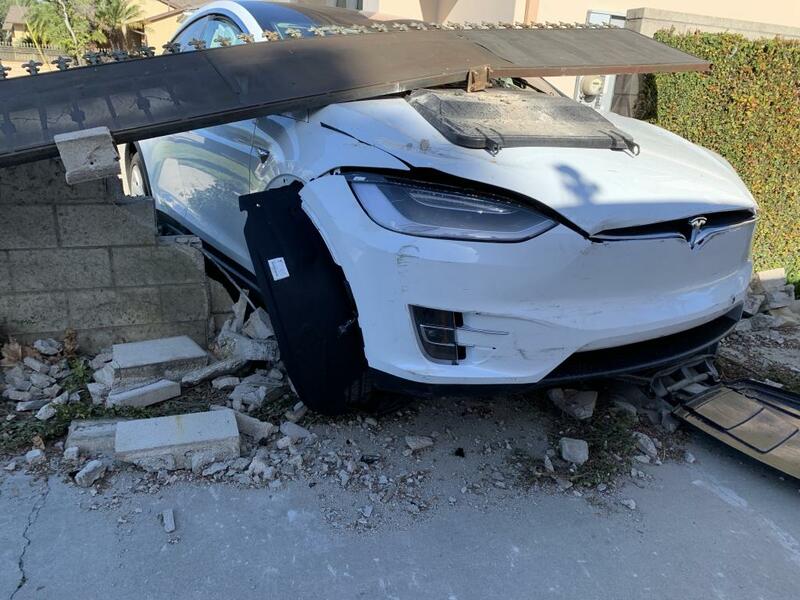 On the night of December 24 ,2018, I was involved in an accident that involved a sudden acceleration of my Tesla. I arrived in front of my home and was waiting for my front gate to open as usual. Before the gate had even opened, my vehicle suddenly and violently accelerated through the gate and veered through a block wall separating my neighbor's property. The acceleration was so sudden and fast that it ripped and bent the metal gate and sent my vehicle half way through the block wall. All the airbags in the vehicle deployed and the gate and wall have been destroyed. We had passengers that sustained injuries in the accident. I saw the report you have posted in news for your plaintiff, Ji Chang Son's lawsuit, It is a very similar situation to what happened to me. Thank you for filing the complaints against Tesla. I don't want this happen to somebody else.